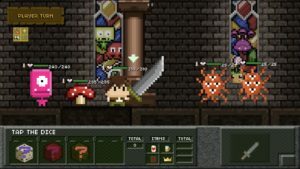 Tiny Dice Dungeon is a free RPG where you collect and forge dice to battle enemies, and catch monsters that will fight alongside you. As well as basic combat dice, you can eventually unlock and build things like poison dice which do poison damage, or health dice to heal you up. You can roll as many times as you like, creating a bigger and bigger attack, but if you roll a 1, that turn is over. To catch a monster, you have to roll the exact amount of health they have left, once you go over it’s too late. You can buy a (permanent) upgrade that allows you to go +1, +2, +3 over, but the upgrade only takes effect when you’re using the monster catcher boost, which is an optional 250 gold per battle. So you have to get it at the start, not knowing whether you’ll need it or not. I would happily have IAP-ed a permanent monster catcher boost. You also collect artifacts, some of which are rare and powerful, that your character can equip for more boosts, such as extra attack or defence strength. 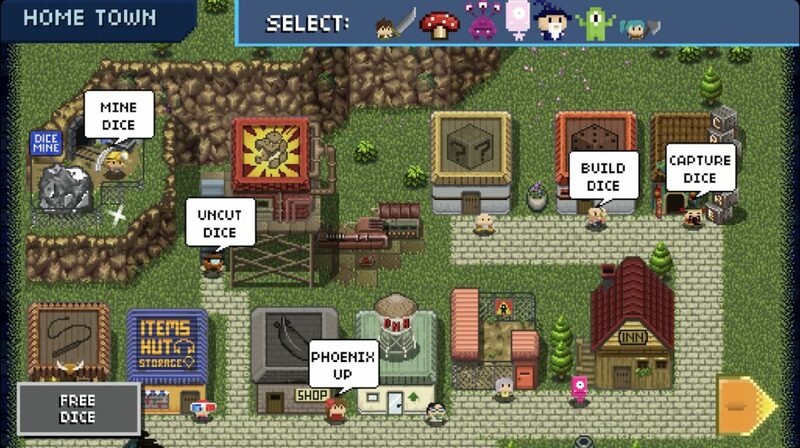 All in all it’s very feature rich game, if a little bit complicated in its UI. You eventually unlock other main characters, but they have to find and level their own monsters, which was rather a shame. There is optional IAP to buy more dice shards, but you can find plenty just by playing with a little bit of grinding. I found I needed to do this anyway to catch monsters of specific kinds. This is because to level up your monsters beyond level 10, you have to catch more of the same kind and absorb them.